With special thanks to Richard Bush. Version 1.01 (August 27, 2000): Fixes several typographical errors in the script. It will work with the original ROM image, or an image previously patched with version 1.00. Version 1.00 (July 27, 1999): The first public release. 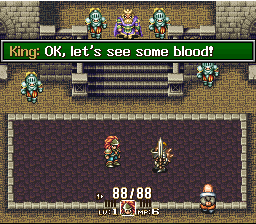 Some call it "the best Super Famicom game ever", some dismiss it as just another boring action game. 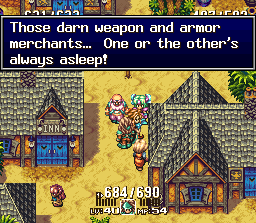 But most people agree that Square made a grave mistake when they decided not to market Seiken Densetsu 3 overseas - especially after the success of its predecessor, Secret of Mana. 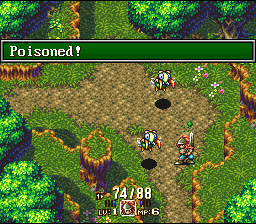 Around 1996 and 1997, the growth of the internet, combined with the increasing popularity of video game emulators, sparked a number of unofficial game translation projects. 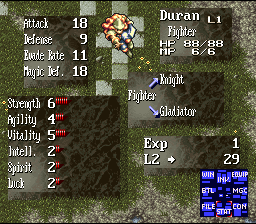 Several of these came into fruition; most notably the RPGe translation of Final Fantasy 5, and Neo Demiforce's Final Fantasy 2 project. These groups proved that such projects were not only possible, but feasible as well. 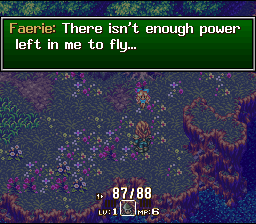 Some of the more complex games, however, have proven too big a challenge for the fan translation community. 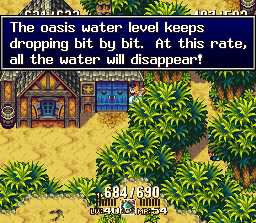 Seiken Densetsu 3 obscures its text behind numerous layers of compression, putting it well out of reach of the casual hex editor. 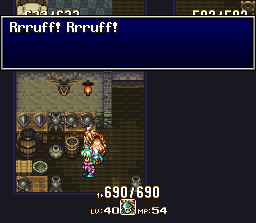 In April of 1998, the RPGe web site announced that Richard Bush had quit his Seiken Densetsu 3 translation project. I (Neill Corlett) decided that my effort would be well- spent in seeing this project through, overcoming all the technical obstacles, bringing to the English-speaking world a game we should have had in the first place. With technical issues out of the way, translator SoM2Freak went to work. He finished the enemy names, item names, spell names, menu selections, and a small portion of the script itself, before leaving for Japan in spring of 1999. Translators Lina`chan (whose work includes the unofficial Magic Knight Rayearth translation) and Nuku-nuku finished the remainder of the script. 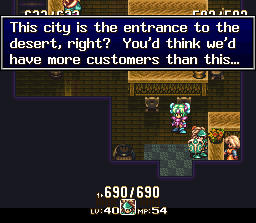 Seiken Densetsu 3 is a prequel to Secret of Mana. 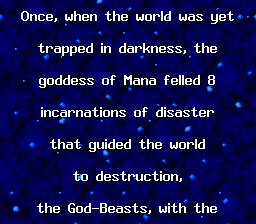 That is, the events in the game supposedly take place centuries before Secret of Mana. Six young heroes are caught in the crossfire of a global struggle to revive the God-Beasts and control the world. They are Duran, Kevin, Hawk, Angela, Carlie, Lise. You will choose one of them as the main character, and two more as partners. 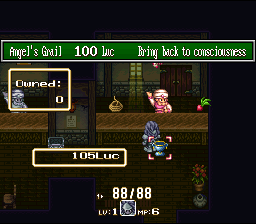 The other three will appear elsewhere in the game as NPCs. Your character choice is permanent. The three characters you choose are with you until the end of the game. Up to three players can play the game simultaneously, each controlling a different character. 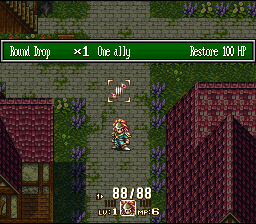 If there are fewer than three players, the remaining characters will be controlled automatically by AI. X - Bring up the ring menu. This lets you use an item or cast a spell. Y - Switch to menu subscreen. This lets you view character stats, change equipment, and configure various aspects of the game. Start - Switch to storage subscreen. This lets you put items in and out of "storage". Items which are in storage don't show up on the ring menu. Also, press Start on controllers 2 or 3 to activate or deactivate them. Select - Toggle which character you're controlling (if there are fewer than three players). L, R - Hold one of these down to control a different character temporarily. Also, try holding the L and R buttons while pressing RESET. Consider it your reward for reading this text. • Lina`chan, Nuku-nuku, and SoM2Freak. Couldn't have done it without you. • Dark Force, for many nice things. • Regulars of EFnet #rom and DALnet #romhack, THANKS FOR ALL THE WHISKEY. • Everyone who reported the typos in version 1.00. 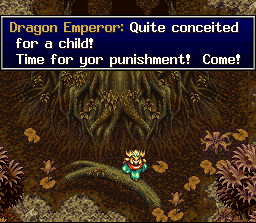 Hello emulation and translations fans! This is Lina`chan and this is my section on the SD3 readme file. It has been a year since I accidentally stumbled into a translation page, j2e's translation page, after surfing around it and reading their documents on translations I decided to give it a shot and help translating games. At that point I knew nothing of translations projects, nothing at all. But thanks to many people, mostly those in #romhack Efnet, I managed to learn a few things to dive into this "scene" fully. 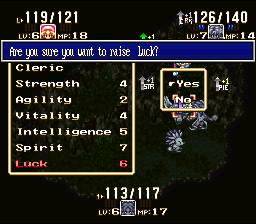 After finishing my first translation for the SNES, Magic Knight Rayearth, I got in contact with Neill Corlett in an attempt of helping him and Som2Freak with the so desired Seiken Densetsu 3 translation. Neill was very kind and he openly accepted my proposition of help. 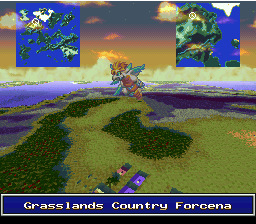 After 4 months of work here we are with a 100%, fully translated Seiken Densetsu 3! During those 4 months we had been doing our magic and working on this project for you, it has been a great experience working on this project with these wonderful people. Also, I'd like to thank the different people that helped me on my translation assignment. • Nuku-Nuku: My translation sidekick, thanks for your dedication, for all the excellent work and for enduring all my sillyness and crazy fits. 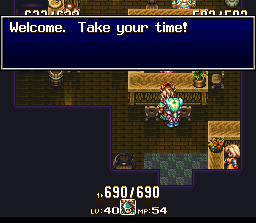 • The people of #romhack: Thanks for all the miscellaneous help you've given me and for the support. The translation community is growing and developing quickly, thanks to the efforts of many romhackers, utilities coders, document writers, translators and fans. However there are people who harm this community. I'd like to remind you that, like you, we are people, most of us simply are teenagers with lots of free time (^.^) and we too get angry, sad, happy, etc. just like everybody else. I get sad when I see people fight over things when they could simply accept the other person points of view and opinions. 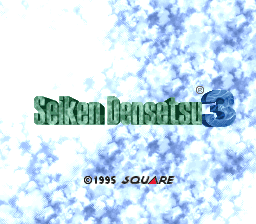 For further information and patch updates, visit the Seiken Densetsu 3 Translation Home Page.